Washington, DC – Invisible Children, the Enough Project, and The Resolve urge the governments of Uganda and the United States to remain committed in their efforts to end the threat to civilians posed by Joseph Kony’s rebel Lord’s Resistance Army (LRA) in central and east Africa. Credible reports suggest that officials in both governments are considering a premature conclusion of their operations to counter the LRA, which are part of a regional mission authorized by the African Union (AU) focused on protecting civilians and bringing LRA leaders to justice. The Ugandan and US governments suspended their counter-LRA operations in the Central African Republic (CAR) last week after Seleka combatants overthrew the CAR government and took control of most of the country. Seleka leaders have yet to publicly indicate whether they will cooperate with the AU mission. Over the past three years, the Ugandan-led, US-supported operations helped reduce the LRA’s killings of civilians by more than 90% and enabled dozens of LRA fighters and abductees to safely defect from the group. Last week, 28 women and children were released from LRA captivity in the Democratic Republic of Congo. However, with no credible alternatives in place, a full withdrawal of Ugandan and US forces would put a permanent end to the crisis out of reach and create a security vacuum in LRA-affected areas of CAR and South Sudan, where Ugandan and US forces are currently deployed. “If these two forces leave us, we will fall back in the same situation that we found during the highest times of the LRA conflict,” read a statement by the Local Protection Committee in the town of Obo, CAR. The Committee joined ten other local civil society groups in issuing statements that call for the Ugandan and US forces to stay in order to maintain security. Ugandan forces have been operating in CAR with US support since 2009. In 2011, US President Barack Obama deployed military advisors to the region to assist directly in the mission. 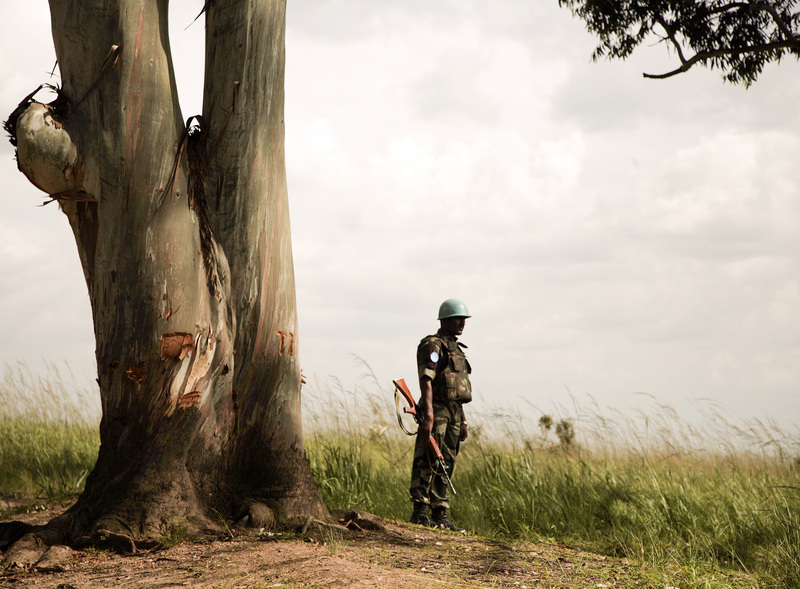 The US Congress has also been seized of the issue, passing bipartisan legislation in 2010 aimed at addressing LRA atrocities and allocating tens of millions of dollars to support US involvement in the mission each year since, including an allocation of $45 million for new intelligence support in the US budget signed by President Obama just last week. The AU provided an authorization for the regional operations in 2011 and has sought to enhance coordination among governments of LRA-affected nations. However, the body has been silent on the threat of its mission collapsing.